The better your baby sleeps, the better your chances are to take care of yourself, including getting the rest you need. The right sleep environment can make all the difference between a good night’s sleep and tearful hours for the whole family. Take extra care and diligence when selecting the part of the crib that’s always in constant contact with your baby: the mattress. Firm: It may feel strange to put your baby on a hard, empty bed instead of somewhere soft and snuggly, but AAP guidelinesrecommend a firm mattress for safer sleep. Avoiding crib bumpers, blankets, and toys reduces the risk of suffocation. Breathable: When your baby is able to roll back and forth from tummy to back, you don’t need to creep in and move them if they roll in their sleep. While it’s recommended for babies to sleep on their backs, rollovers will inevitably occur. Instead of worrying about if and when this happens, having a fully breathable crib mattress allows you to rest assured since air flows freely for optimal breathability, no matter what sleeping position your baby prefers. Additionally, greater breathability helps little ones avoid overheating. Healthy: Researchers from the National Science Foundation found that some foam-based mattresses may release chemical off-gassing while your baby sleeps. Play it safe and protect your baby from potentially harmful chemicals by shopping for a mattress certified for the lowest level of VOCs and other chemical emissions. Look for the Greenguard Gold seal for products that emit the lowest possible VOCs and help to improve your indoor air quality. Clean: Accidents happen, and every parent eventually has to deal with a diaper blowout in the crib. Ideally, you should be able to wash mattress covers and the mattress itself to eliminate messes. A fully breathable, fully washable mattress makes it easier to get rid of any smelly traces of a blowout. A newborn baby can sleep as much as 17 hours a day, and even toddlers need 12-14 hours of sleep. Thus, a crib mattress is an especially important investment by virtue of the sheer amount of time your little one will spend there. Where the baby sleeps: The AAP recommends that you share a room with your baby, but always put babies to bed on a safe sleep surface (i.e. a bassinet or crib with a firm mattress and tight-fitting sheet). 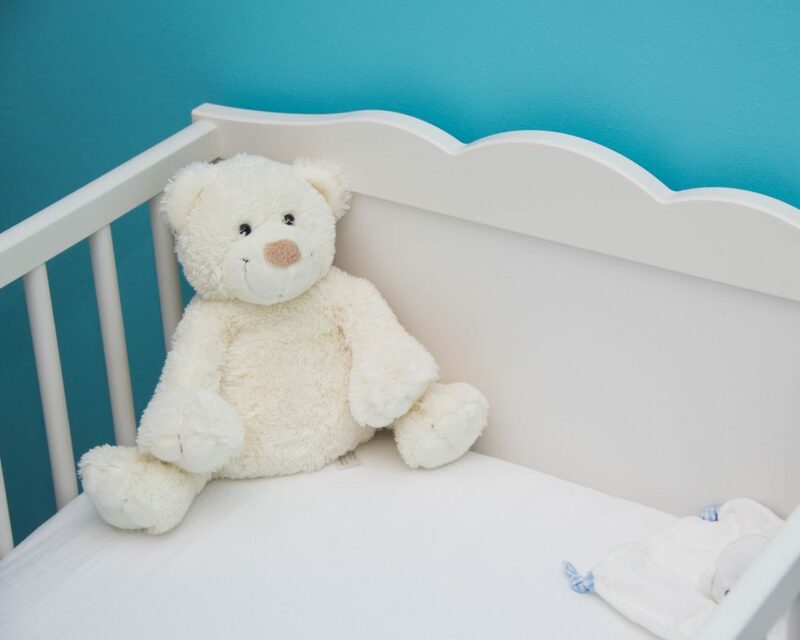 The crib and mattress may affect more than you think. It’s never too early to start practicing a sleep routine so you and your partner develop the habit, although your baby won’t be ready for actual sleep training until around four months of age. A dependable, feed-rock-sing-crib routine may help your baby grow to associate the look and feel of the crib with sleep time. Depending on the mattress makeup, it can also play a role in promoting comfortable temperature. If you notice your baby has a sweaty back after lying in the crib, that’s a sign of overheating, which can be dangerous. A breathable mattress allows better air flow through the mattress, reducing the risk of your baby overheating while she sleeps. Still struggling to get through the night? If you’ve set up a safe, cozy sleep environment and checked any medical concerns with your pediatrician, a baby sleep expert can help you develop a personalized plan to improve sleep.